Over the past few years, the content marketing industry has undergone some pretty significant changes. Once focused on creating keyword-rich static site content, the industry is now built on fresh, dynamic content that’s timely and relevant. Along with this shift has come an increased emphasis on visual content. And while most businesses understand the power of infographics and video, some are still missing one key piece: interactive content. The internet is so oversaturated with static content overload that the average user has been desensitized to traditional content marketing efforts. In response to this alarming trend, marketers are always looking for ways to develop stronger content that grabs attention and has lasting value. The result is interactive content. The title is pretty self-explanatory. Interactive content is content in which the user is required to take action in order to truly maximize the value of what’s being presented. The best way to explain interactive content is to provide some examples. Check out the following to get an idea of just how flexible this aspect of content marketing is. There’s a reason you see so many quizzes and assessments being shared on social media – they work! Brands have discovered that people love taking fun tests that provide them with customized answers. These quizzes are a great way for a website to attract backlinks and traffic and are extremely easy to develop. They also retain their value and can be recycled for years to come. Example: A perfect example of a successful interactive quiz is Disney’s “Which Disney Princess Are You?” quiz. Visualization tools are some of the most unique forms of interactive content. These are typically on-site tools or widgets that allow the end user to perform an activity that’s directly aligned with the brand that’s backing the tool. For an IT company, this could look like an automated diagnostic tool that helps users understand the cause of a problem before proceeding. For a ticketing company, this would look like an interactive stadium map that allows users to select seats. There’s a lot of flexibility here, and the benefit is that visualization tools are directly related to conversion goals. Example: A good example of a visualization tool at work is SpeedySignsUSA’s “Design Your Own Sign” tool that lets users create custom signs before placing an order. Customers love knowing exactly how much a product or service will cost before making a purchase. In many cases, the cost fluctuates based on a number of different factors, though. In these situations, it’s wise for a business to offer customers a convenient cost calculator to cut down on customer service inquiries and make the purchase process smoother. Example: AT&T has a tool which allows users to estimate their monthly price based on the device they choose and how much data they typically use per month. It’s simple, straightforward, and helps educate the customer before they place an order. While infographics are valuable on their own, there’s nothing better than an interactive infographic. As the name suggests, these are traditional infographics that allow the user to engage the data being displayed. Also have a look at this list for a handful of the top interactive infographics on the internet. 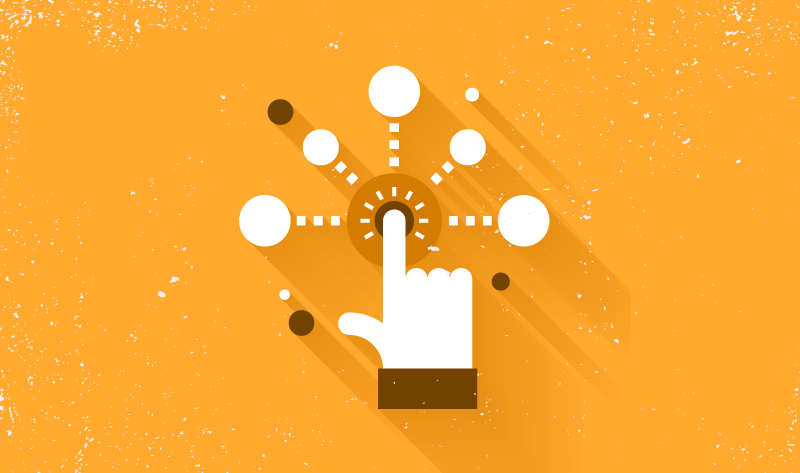 As a marketer or business owner, you can’t forget about interactive content. While it takes more time and effort to develop, interactive content provides more immediate engagement and better lasting value in the long run. Keep the ideas mentioned in this article in mind, but don’t be afraid to get creative and brainstorm your own. Anything you invest into quality interactive content will be returned multiple times over.